The number is increasing in regards to the number of users going online per day. There are some common myths in regards to digital marketing that you may have heard of online, but It’s 2018 and we’re here to break down the fundamentals of digital marketing. Digital marketing services, in the broadest sense, comprises of advertising that is delivered to audiences using the following channels: mobile apps, email, social media, websites and search engines. Video marketing improves your brand, services or products. It has the potential to transmit large amounts of information, especially on social media, giving customers a quick overview of a product without overwhelming them with text. In less than thirty seconds, a customer can get the information he needs about business through a short, visually-appealing video. Customer testimonials, videos from live events, how-to videos, explainer videos, corporate training videos, viral (entertainment) videos, etc. Social networks are the forefront of brand research; before customers engage with an organization they often rely on social media to educate themselves more about that organization. We’re acutely aware that social media has moved far beyond the frame of simple selfies and puppy videos. Gone are the days of digital marketers simply posting on Facebook & Twitter accounts and calling it a day. Social media marketing must now include lacing social elements in all aspects of marketing and create opportunities for more peer-to-peer sharing. As 47% of all internet users are on Facebook, it works as a great platform to engage potential customers with intricate digital marketing services. The likelihood of your content getting shared is highly dependant on how much your audience engages with this content. As social media networks are exactly that, networks, the upside is that once your audience shares your content, they will likely be able to influence their friends to become customers too. Content is King and Distribution is Queen, this is essential for content marketing strategy because you have to create good quality content and distribute this across the web. Building content helps you get recognition on social media, gives you something of significant worth to offer users in paid search advertising and emails, not to mention an essential factor in regards to search engine optimization. It’s important to produce relevant content to your audience and content that inspires but informative to capture the user’s interest. Make your content a good valuable source of information that educates otherwise, you will lose the reader. Email marketing is very common and is normally used for generating traffic, engagement, branding, retention, acquisition, reactivation, and getting referrals. We use email marketing for growth, even though some may argue and say its used for making a profit. In general, to be successful with email marketing the campaigns must be informative, entertaining, relevant, and engaging. Marketing Automation, chances are you’ve heard the buzzword before. Marketing automation is software that automatically streamlines and executes marketing actions (i.e sending out emails, publishing blogs/social media content, etc) without any manual effort. You can also utilize marketing automation for landing page optimization to drive traffic & help distribute the analytics of your website directly to your sales team while saving time. In a nutshell, marketing automation software is often described as ‘360 solution CRM-sales and marketing software. Paid search, also known as Pay-Per-Click (PPC) advertising, is the “sponsored result” often seen at the top of or beside a search engine results page (SERP). The payment for the advertisement is only made when your ad is clicked. PPC is one of the digital marketing services that can really target your particular audience, as these ads can be tailored to systematically appear when particular search times are entered. PPC ads are effective for all varying types of organizations. They are visible, flexible, and most importantly, contextual advertisements (due to the fact that they appear primarily when the audience is actively searching for that keyword or term). Search engine optimization (SEO) is a crucial practice for improving a successful presence on the internet. Basically, the earlier and more frequently a site appears in the SERP list, the more visitors it will receive from the search engine’s users. 71% of searches resulted in the 1st page on Google organic click. On the other side, have you heard about negative SEO? Negative SEO is any malicious attempt of using black hat SEO practices to sabotage a competitor’s rankings in search engines. You can read more here if you think you’ve been targeted by Negative SEO. Another unparalleled advantage that marketers need to pay heed to is mobile marketing. A mobile device, an integral part of consumers’ lives, is kept on-hand throughout the day and on the bed-stand throughout the night. As marketers offering digital marketing services, it becomes critical to realize that marketing on mobiles is effective but also highly nuanced. The range of marketing on a mobile is varied, including SMS, MMS, and in-app marketing. It is crucial to identify the method best suited to your particular business. You cannot isolate mobile marketing, it needs to be coordinated and in-line with the marketing you employ across all digital channels. 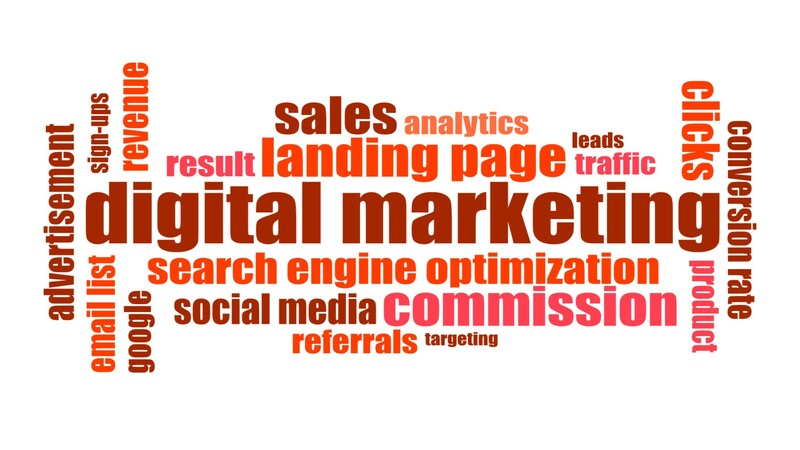 So Do You Need Digital Marketing? If you already do digital marketing, you are likely to reach some segments of your online audience at least. Nevertheless, you can certainly think of certain areas of your strategy that could use a little improvement. As one of the top up and coming digital agency in the market, we would be happy to assist with your digital marketing strategy, why not reach out to us and get started. we help your business grow.